Favorite Activity: Dropping his pants and dancing without provocation. Hosted his own TV show on which he dropped his pants and danced a lot. Homer partakes in a contest to be the next Duffman. The seniors have fun outside of the retirement castle. Homer, Bart, and Grampa run a scam at the retirement home. Grampa and the seniors are challenged to a death race. A real witch gets angry after she is disqualified from the costume contest. 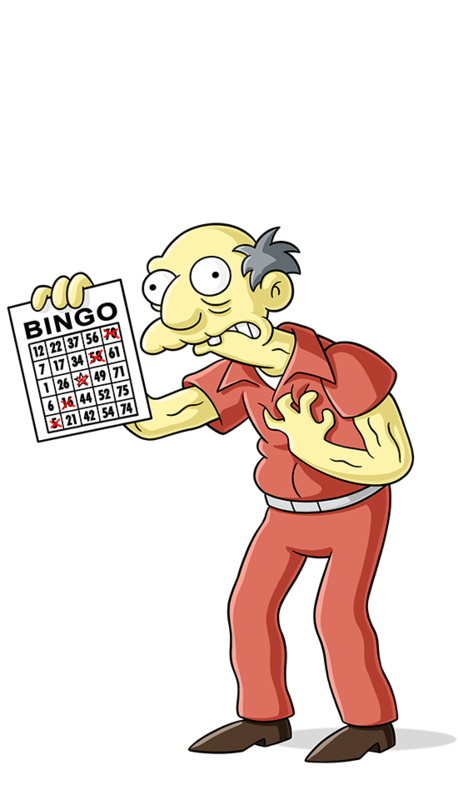 All of Springfield hates Grampa. Hurry up! Hurry! Each Matlock could be our last! And that's what they get for wearing such tight little shawls. Yeah, switch it to the Elderly Animal Channel.